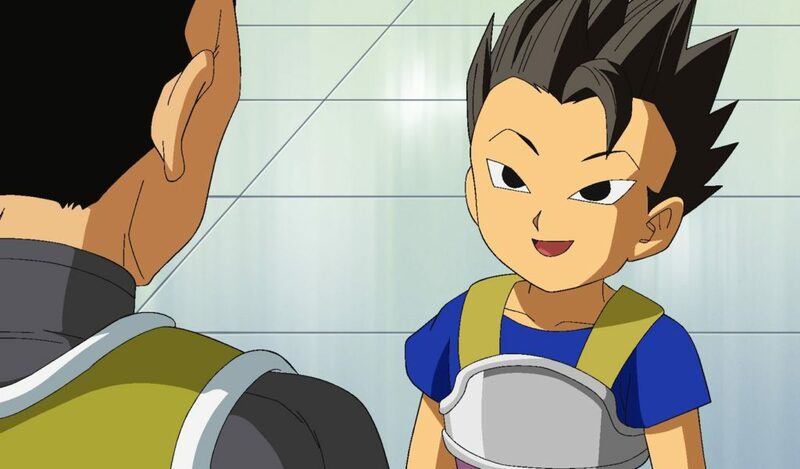 Dragon Ball Super – Part 3 features Episodes 27 – 39, with Episode 27 being the climax of the Resurrection F movie retelling. You’ll be unsurprised to hear that Frieza is defeated and our heroes are still alive in Episode 28 as we begin to shift towards brand new material, with Vegeta and Goku continuing their training on God of Destruction Beerus’ planet under the tutelage of Whis. 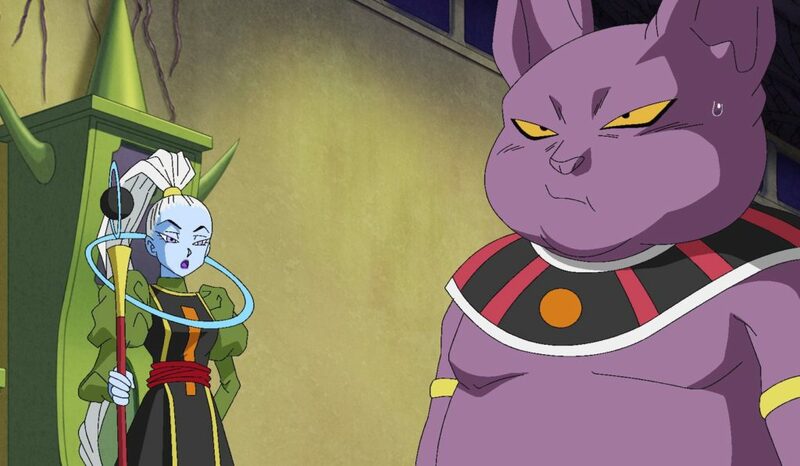 This leads us to our first Super-exclusive characters in Champa and his Whis-equivalent Vados, (okay to be fair they’ve made a few brief appearances during the previous two arcs, but this is their proper debut…) Champa is the God of Destruction of Universe 6, the “twin universe” to Universe 7, the one we know and love, and is also Beerus’ brother. 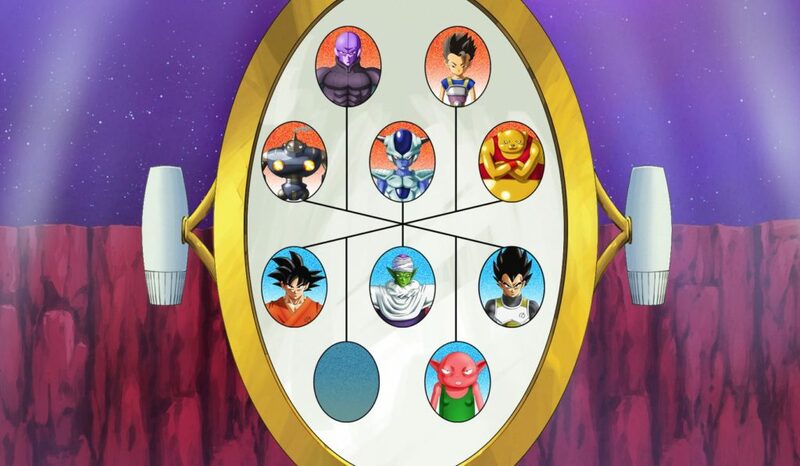 Champa is in “our” universe because there is a set of literal-planet-sized Dragon Balls that are spread between Universes 6 and 7 and he wants to get his hands on them. This leads to an argument between the two brothers as the Super Dragon Balls, as they’re called, are the property of both their universes. This leads to an eavesdropping Goku suggesting doing a tournament between the two universes; the winner gets to use the Super Dragon Balls. The two Gods of Destruction agree, and Goku goes as far as to suggest using the same rules as the old World Tournaments he used to compete in, which oddly is also agreed by the Godly beings. So a five vs. five elimination “tournament” is made, and we then get some obligatory filler-like episodes surrounding team recruiting and training, though surprisingly only about three episodes total of them! The opening continues to be “Chōzetsu☆Dynamic!” by Kazuya Yoshii, as it will be for some time still (although it’s worth mentioning that much like the classic Dragon Ball Z “Head Cha-La” opening, parts of the footage change to feature the Universe 6 participants early in the set. ), while the ending is still “Light Pink” by Lacco Tower up until Episode 37, where it switches to “Forever Dreaming” by Czecho No Republic (who may or may not have anything to do with the Czech Republic…) The extras are an interview with Sean Schemmel and Jason Douglas from Anime Expo 2017, plus clean openings, endings and trailers. So do I recommend Super Part 3? Yes I do! For starters unlike the previous two Parts, this actually has a new storyline not already released in film format, and has some fun moments and new characters. Admittedly some of the humour fails to land, and the animation quality can dip quite badly in parts, so it’s far from perfect. 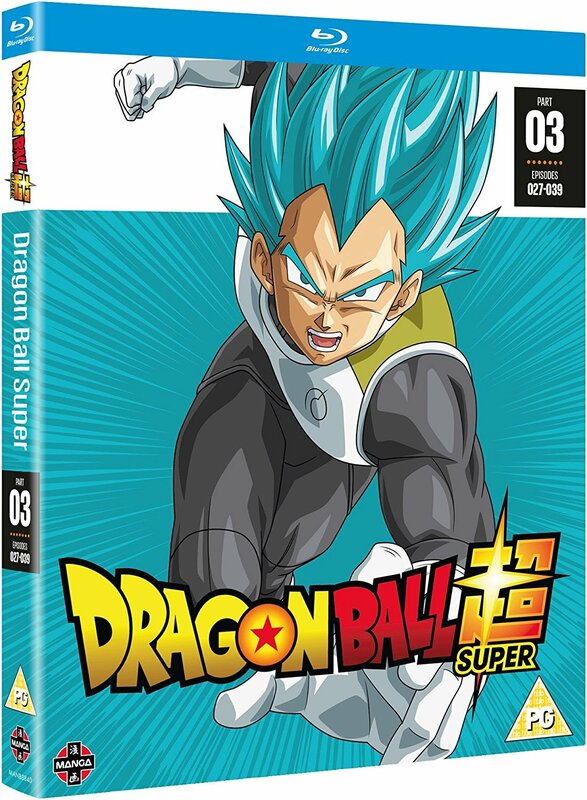 It’s merely good rather than great, but still recommended to all Dragon Ball fans.